I have no problems talking about my writing. But you only need to tell people what you're comfortable with them knowing. If you want to keep it to yourself, feel free to do that. I feel the same way. Until I have something where I can say, "Check it out suckka's" I'm going to withhold because I don't know how to respond to THOSE questions. It is insecurity on my part, something that I'm working on. Tammy - I tried my best to help. Annalisa - I am rather proud to be a writer. It is just that people can be so judgemental. Molly - It is very nice to meet you! Thank you for the visit. Jai - It is so tough being a writer. I like the part about "check it out suckka's". Sarah - I can relate to your experience. My family has reached the point where they just ignore me when I start talking about my writing. I like what you said, about how their views may change once they see our books in the bookstore. At least we will know what it was all for, right? But some support from the family would be nice. I agree with Annalisa. Talk about it when you want. You don't have to share everything. 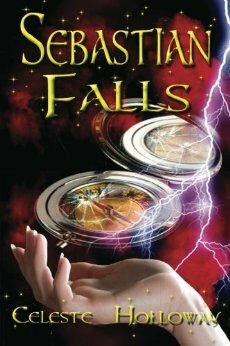 Good to meet Celeste - Sebastian Falls sounds intriguing. As for your IWSG post - yeah, I feel nervous talking about my writing! I feel as if I'm boring people and only talk about it if invited! Don't really know why, as I'm published and have nothing to feel a fraud about. Doesn't stop me feeling like one, somehow! I keep it to myself, most of the time. I can let it all out on my blog and here at IWSG, where I feel comfortable. I've already purchased Celeste's book. It sounds great and I can't wait to read it. I tend to find it can be a good idea to pour my heart out into a seperate file/notebook/diary when I'm in an emotional mood, which makes it easier to come back later and decide whether that emotional state is the right kind for the story I'm writing. I'm the same when talking about my writing - I feel like I'd be weird talking about my imaginary friends with other people. You could always use people's questions about your writing to talk about the stories you like/dislike that inspired me - for instance I've been working on a medieval/fantasy thing that started off with me thinking about some of the things I like and don't like about Game of Thrones. It's funny, I enjoy talking about what I writing - the story, characters, etc. - but not so much about the act of writing or how I feel about being a writer. Not sure why. The book sounds so cool! And don't worry, you're not alone in how you feel when people learn you're a writer. I change the subject as fast as possible!! 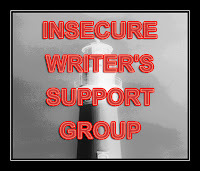 Talk to other writers about your writing - we understand you! And congratulations, Celeste. That's a really cool cover. Wow! That book sounds intense. Just remember- you always have writing friends that love you! Tonja - Thanks. Maybe I should just learn to shut up or change the subject in a hurry. Linda - You should be so proud! But I guess the writing subject is really personal to all of us. Thank you for sharing. Noonebutabloghead - This is great advice, thank you! There are a few books that I loved for certain reasons and maybe I can think why and use it, thank you. Celeste - You are so welcome! Emotions can be a strong inspirational tool, as I have just found out. LD Masterson - I agree! Talking about being a writer is just so scary. Thanks for sharing this with me. Julie - I should learn to change the subject, instead of feeling the need to explain. Thank you so much for the visit and the kind words. Alex - Thank you for the great advice, as it is always welcome. Katie - Thank you! That is just so heart warming. Two great, heartfelt & honest posts in one! I'm so happy Celeste got to see the good that came from the bad. Nicki - Thank you. I think you are so right and I could always do with some thicker skin, metaphorically speaking of course. Rachel - I so agree. I hope that kind of confidence comes with time. Thank you so much for the visit.